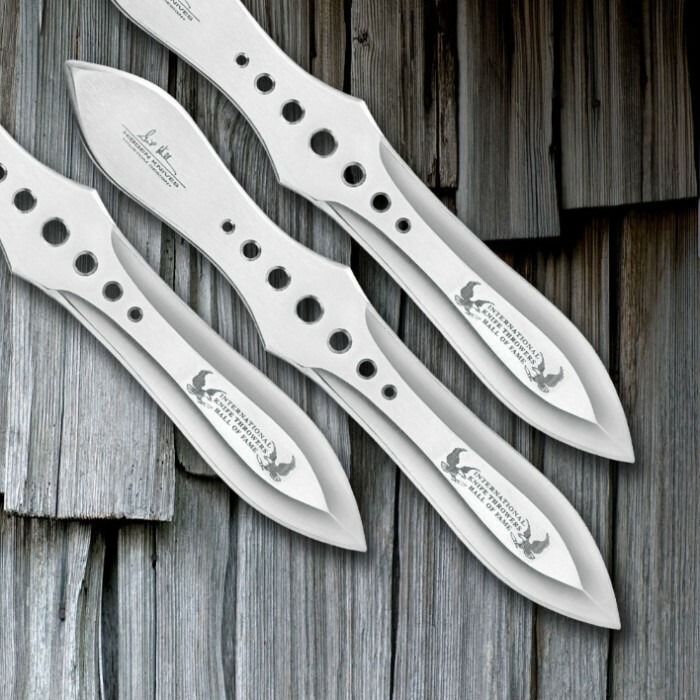 Dominate your next competiton or backyard knife-throwing session with these designer throwing knives designed by Gil Hibben. 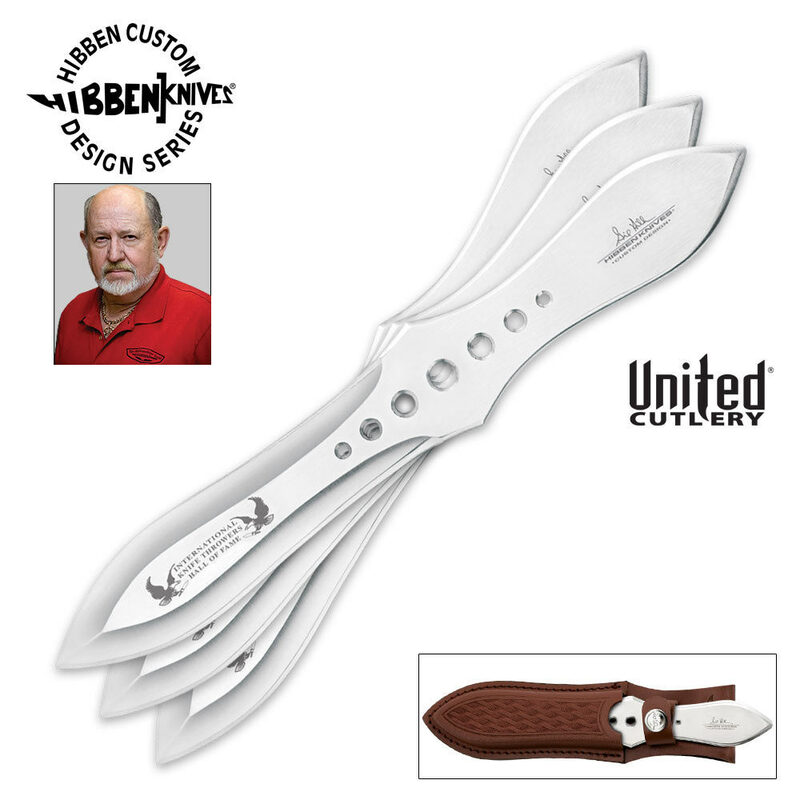 Each of these 8.5" throwing knives has a sharp edge and a piercing point for maximum target penetration. The open-hole cut-out designs also contribute to a professionally balanced weight proportion for increased accuracy. Includes a leather sheath and a paper competition target. Knives look cool. Bud k customer service is terrible. Had a promotion applied to my order only to find out when the package arrived that The promotional code is expired. Talked to customer service rep and said its my fault because I didnt order earlier. There was nothing saying that the promo code was expired. This isnt the first time they've tried to manipulate things. They didnt even try to keep my business. COMPLETE BS! Time to find a better website for knives. And if yall were smart youd do the same. Well balanced and seems to be durable after many throws. The pine target logs I have are taking a beating! My only issue is they are not sharp at all, unlike the large throwing bowies, but I could sharpen them if I wanted. Harder to stick the point than the large bowies too, maybe it's just my preference. The balance is incredible. The weight is good but I was throwing my second knife and glanced off my first knife and it hit sideways against the board and broke in half. If it wasn't for the knife breaking i would give them five stars.